Audi E-tron Boot Space, Size, Seats | What Car? 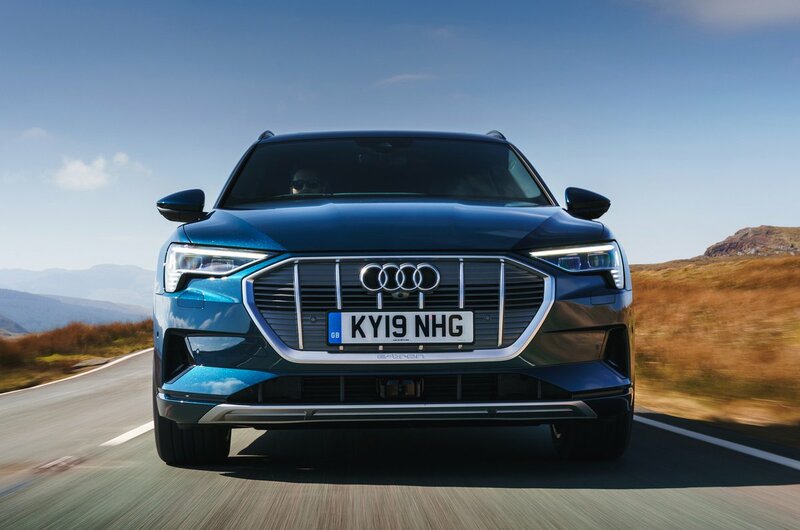 You’re unlikely to wish for more leg or head room in the front of the E-tron. And the front seats are a good distance apart to ensure you don’t rub shoulders or bang elbows with the person beside you. Even the wide centre console, which features several handy storage spaces, doesn’t get in the way of the driver’s left knee in the way that it can in some SUVs. There’s enough space in the back for a pair of six-footers to get comfortable. And while this is also the case in the Jaguar I-Pace, the E-tron’s roof doesn’t curve downwards as dramatically as the Jag’s, so you’re less likely to feel claustrophobic. 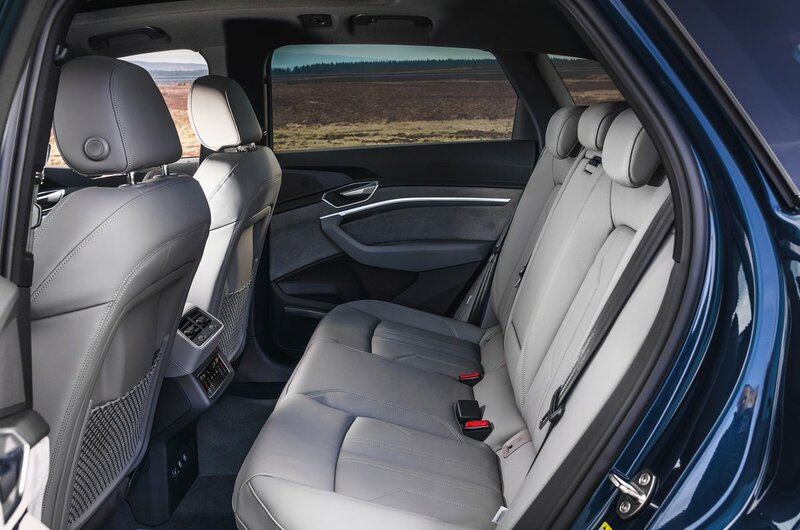 Life is quite uncomfortable for a central rear passenger, though – their seat is narrow and has a harder backrest than the others. There's also no seven seats option, which is a big plus for the Tesla Model X, which can be ordered with a boot-mounted row of fold-out seats. The rear seats split and fold 40/20/40, allowing you to transport longer items between two rear passengers, whereas the I-Pace has a less versatile 60/40 arrangement. 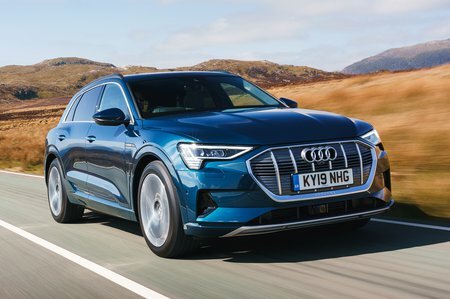 What’s more, levers in the boot let you fold the E-tron’s rear seats from the back of the car, and while they lie at a slight angle once down, there is at least no step up to them. Sadly, boot space isn’t quite as impressive; both the I-Pace and the Model X offer more. Plus, the E-tron is the only one of the three with a sizeable lip at the entrance of its boot that you have to heave luggage over. More positively, you get some useful underfloor storage and a second boot at the front of the car – although this is too small to accept even a single carry-on suitcase.